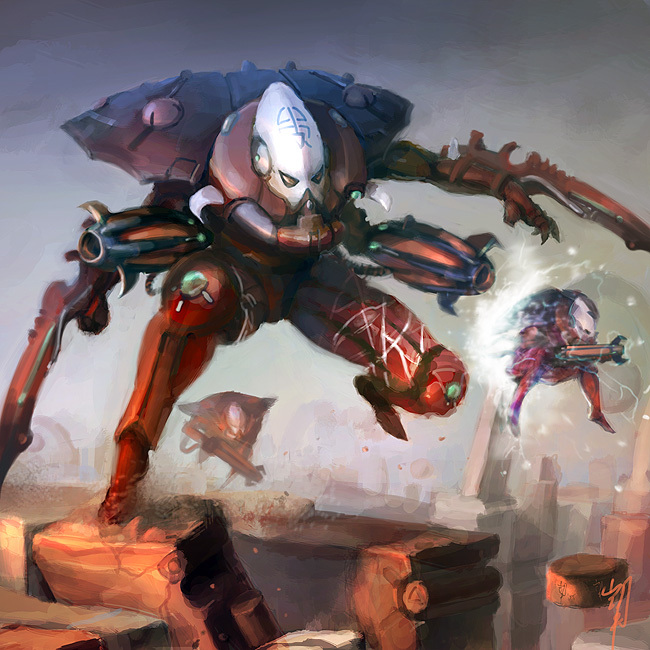 Hey all, it’s Danny again, and for this week, we are going to look at Adam’s favorite army: Eldar! Instead of just focusing on the pure cheese (as relative as that it is), we’ll look at a lesser seen formation that could be (gasp) fluffy or part of the usual Eldar gut-punch. Battle Focus: Units in this formation may run and shoot or shoot and then run (so long as all models in the unit have this rule). Guided Wraithsight: All Wraith units in this formation reroll To Hit rolls against enemy units with 18 inches of the formation’s Spiritseer. 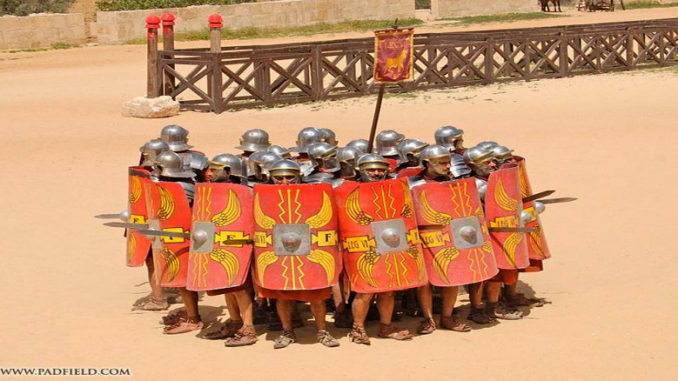 So, this is a very thematic and focused formation that has a bit of tax and a lot of awesome in it. 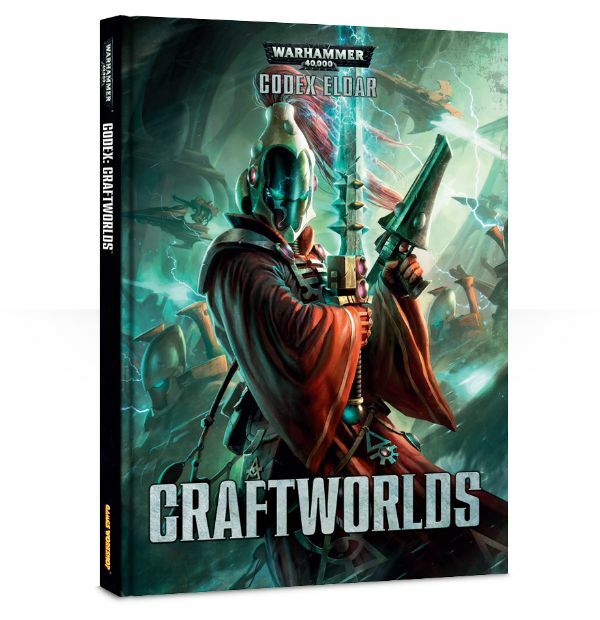 Giving Wraithknights and Wraithguard Battle Focus is actually legit as it adds a great deal of mobility to the slowest unit in the codex. This is true, but Wraith units provide something to Eldar that other units tend to lack: durability. The Spiritseer is the only model in this formation that is under T6, and the Wraithlord/Knight are both T8. Obviously, Wraithknights are amazing and are the most point-efficient LoW in the game by far. You give it Battle Focus, and suddenly it can move forward aggressively, shoot off the big D cannons, and then scoot away a few inches. As only highly effective melee units can hurt the WK, being able to reposition even 3 inches could mean that any counter unit may have to spend another turn on the board before getting to him. 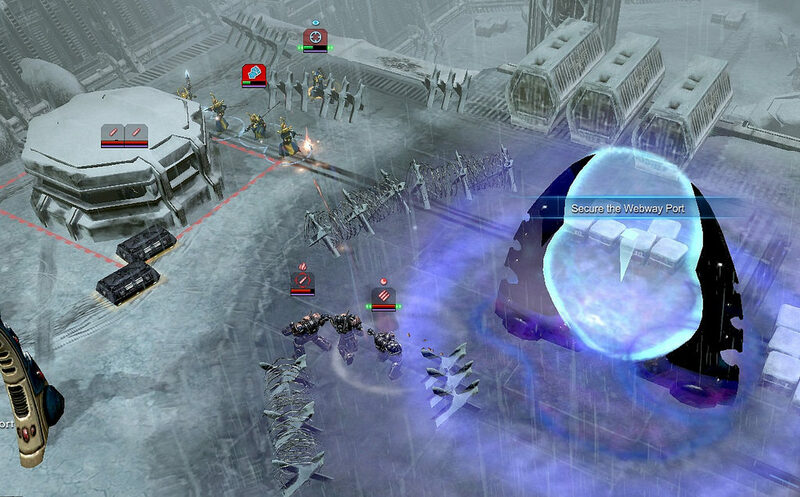 Wraithguard here are amazing as they are the only standard infantry unit in the game to come with D weapons, and standard cannons are pure D, meaning they can roll 6s and obliterate anything. With D-Scythes, they can wrack up a lot of hits on a unit or against several vehicles, and with Wall of Death, they make most units crap their pants at the idea of Overwatch. The Spiritseer is alright, and another level 2 psyker is never too bad, especially with access to Daemonlogy (Santic) for Sanctuary, Hammerhand, or Gate of Infinity. 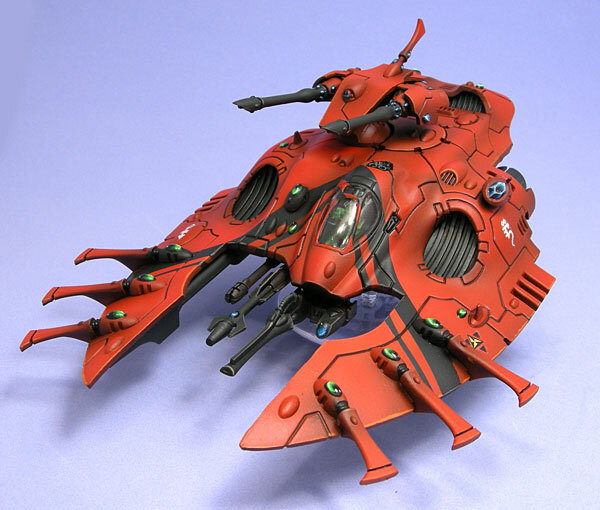 Wraithblades are often not seen, and they are amazing, but in regards to everything else in Eldar, yes, there are better choices. Wraithblades, especially with axes and shields, are resilient objective holders, making them resistant to just about any backfield sweepers. Of course, giving them Battle Focus isn’t all that helpful because they have no guns. Wraithlords used to be king, but the Wraithknights have made them obsolete. That said, for 120 points stock, a Wraithlord is still S8 and T8 with 3 wounds, so just running him up a flank can cause a lot of problems for squishier, less toothy fast moving units that want to skirt the board. 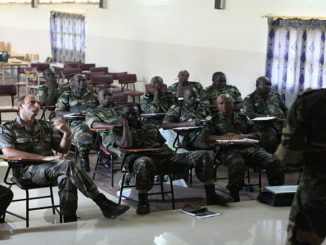 He can also hang in reserve, walk on the board and camp an objective. While strong units can deal with a Wraithlord, later in the game, not everything has the tools to deal with it late game. With Battle Focus, his short range weaponry is a bit more effective. I’d avoid giving him too much kit as he really is the tax on this formation. 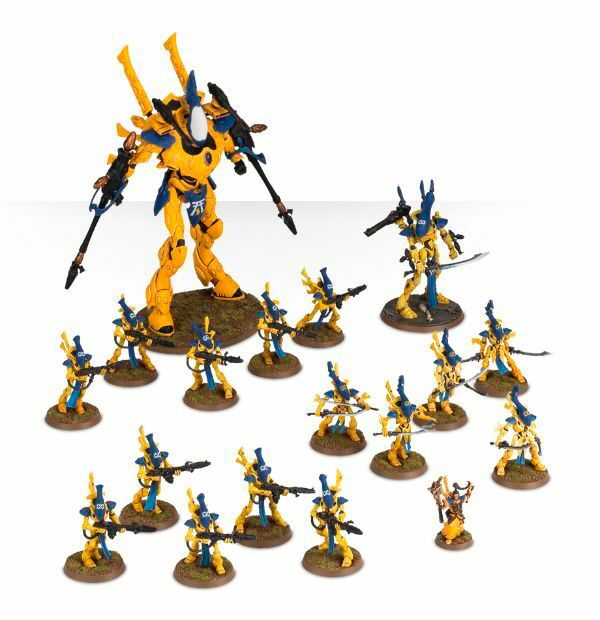 If you want to make this formation the start to a fluffy, Iyanden or Wraith-focused army, going melee oriented adds a lot of tough pop to an Eldar army. 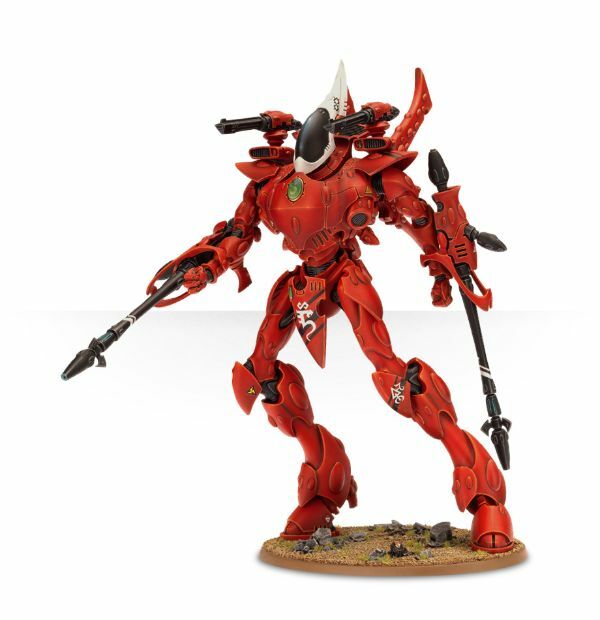 It is still powerful, and obviously, no formation is going to be too weak when you get to take an Wraithknight. If you want to use Wraith units but want to be able to play in the deep end of the tournament scene, you definitely have the tools here. A large unit of Wraithguard with D-cannons and the Spiritseer being deployed via Web Way Portal means a 3+ reroll to hit full power D weapon anywhere on the board. Wraithguard with D-Scythes with Battle Focus can also reposition via Gate of Infinity to get maximum coverage with those D-flamers. You could also use this as a resilient base for the Corsair Webway Walker build where those D-Cannons get to reroll to hit, and you can focus your psychic powers on invisbility or fortune (or both). Ok, so Eldar is broken, so how do I not just lose? Well, play Eldar (kidding). 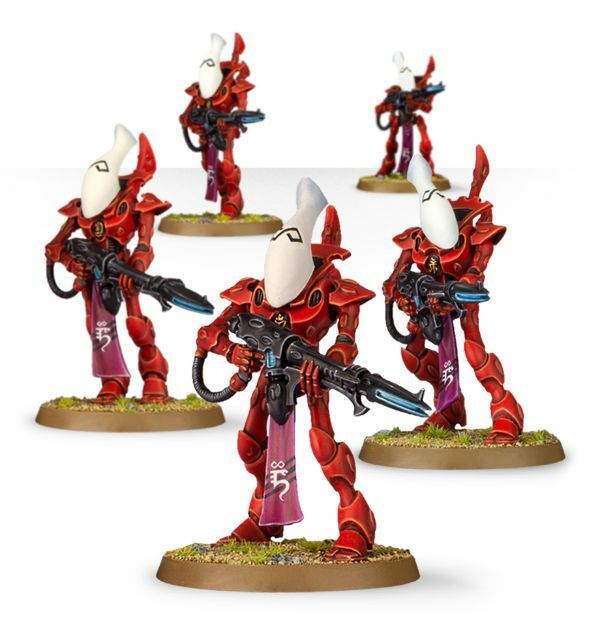 No, seriously, other Eldar have a lot of moves against this as the typical Warp Spider spam can shoot these units down by hitting their low initiative and then jumping away from their short-ranged weaponry. This formation also gets really hurt by the typical Grav-spam that Space Marines will employ, and since the Wraithguard/blades are all 1 wound each, even melta suicide squads can do a fair bit of damage. Oddly enough, a Wraithguard unit with D-Scythes will obliterate other Wraithguard units. While Battle Focus makes these units faster, they are still relatively slow. Fast moving units can stay outside of their range and plink away. While T6 makes them durable, they are still vulnerable to weight of fire, so even massed bolter fire can cause enough wounds to start chipping away at them. The Wraithlord is pretty worthless for the most part and is a big tax, so that weights down the overall effectiveness of the formation. The Spiritseer is an ok psyler, definitely not as worthwhile as a Farseer. This formation also really needs delivery mechanisms because these are all still walking. Granted, the Wraightknight is still scary as hell and moves 12 base, so it is pretty quick, but the rest of the army is walking or spending a lot of points on mechanization. Dedicated melee units can really do a number here as the Wraithguard and even Blades are not going toe-to-toe with any real fighting units. These units (cept maybe for Wraithknight) can be tarpitted pretty easy as well. 30 gaunts or 50 guardsmen will sit there for a while since the Wraith units do not really pump out a lot of attacks. 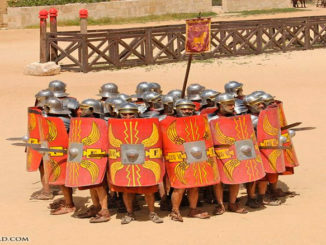 They are tpically quality attacks, but they do not have volume on their side. These units also don’t have great access to invulnerable saves except for Wraithblades, so ranged Anti-Tank weapons will do some considerable damage. These units really need to either hit first or have psyhic protection like invisibility to keep them safe. 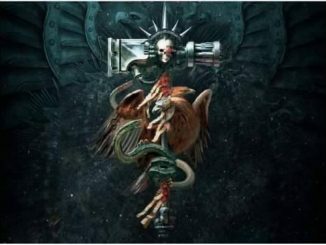 These units hit hard, and they are tough for eldar, but that doesn’t make them tough, just tougher than a squishy codex. They also don’t have the avoidance skills of other Eldar, so they are much easier to hit and blast. So overall, this formation can definitely be used as the foundation for a competitive, spam the D with either Dark Eldar for Webway portal or Corsairs for Webway walker or Craftworlds for big psychic defense and Gate of Infinity. You can also go full melee wraiths and still have an army with some real power but is definitely a “tame” version of what this codex can bring. As of this publication, there are still a few hours to visit that Patreon and maybe win yourself an amazing counter to this formation!